JOTMAN: Bangkok riots: Who controlled the blue shirts? Bangkok riots: Who controlled the blue shirts? Who are the blue shirts? And more importantly, who controls them? In Pattaya as well, from what i have seen, police had a token presence, but the military led the operations. Here i wonder why you do ignore the point of the Blue Shirts, and their attacks against Red Shirts, for me the key factor why the up till then mostly peaceful protests went so out of hand. Without the actions of the Blue Shirts there would not have been the invasion into the Royal Cliff, after which the emergency decree resulted, after which the arrest of Arisaman followed, etc. Suthep stated that the Blue Shirts were only local residents who supported the government. This is a false statement. Why is the government so sluggish on answering any questions regarding the Blue Shirts? Why is the Thai media not investigating the Blue Shirts properly? My photos here show how Blue Shirts and military have cooperated. Were the Blue Shirts a plan that backfired, or where the actions of the Blue Shirts a deliberate plan to turn the up till then mostly peaceful protests into a riot? These are issues that should be pointed out, and investigated. But strangely things are very quiet around the Blue Shirts. We only have very strong evidence [JOTMAN: see here and here] that Newin was involved (and from his history we know that plans like this are very much up his alley), but Newin alone could not possibly have ordered security forces to work with the Blue Shirts, especially because more than a few military officers did not like the placing of the Blue Shirts (as was confirmed to me in private conversations). Given the chain of command, Suthep - the deputy prime minister responsible for internal security - must have been involved as well. If not, the Thai state is in more dire straights than we can possibly imagine, because then some unknown individuals can make top-level decisions without top-level people being informed. At about 6 am I went to the security zone around the Royal Cliff Hotel. On the bottom of the hill there was a roadblock by the security forces, the first line was the Border Patrol Police (BPP), the second line was the Army. I was at the Tourist Police station halfway up the hill when suddenly several hundred Blue Shirts walked out from within the security zone. One blue pickup truck with Blue Shirts sitting in the open back appeared transporting wooden clubs. I took photos. The Blue Shirts objected, but I did not care. A soldier told them to drive further down the road. I followed on foot. At the bottom of the hill, several dozen Blue Shirts hung out at the road block. Several Blue Shirts carried the pieces of wood through the Army and the BPP lines, and distributed them to their friends, who lined up in front of the BPP. I recognized some Blue Shirts as PAD guards, and they also remembered me from the Government House occupation. Others of the Blue Shirts very much looked like soldiers (I was told later on that they were Navy personnel from Satthahip). Soon a large group of Red Shirts appeared with a mobile stage. At first there was a loudspeaker duel between Red Shirts and Blue Shirts, soon the two groups faced each other from a distance of less than 200 meters. Nirmal Ghosh called me, he was at a different access road, and told me that a brief clash between Blue and Red Shirts had already happened there, but that when a small bomb was thrown, Blue Shirts retreated behind military lines. Where I was standing a clash was beginning to build itself up. More than 1000 Red Shirts were facing maybe 300 Blue Shirts. At the last moment, when the groups were only 50 meters away from each other, negotiations were held, and soon after the Red Shirts left. At this point came "the invasion into the Royal Cliff, after which the emergency decree resulted, after which the arrest of Arisaman followed, etc." Would it be going too far to conclude that the blue shirts had deliberately instigated the riots, presumably in order to discredit the red shirt movement? A recent post by Bangkok Pundit is especially worth reading. BP examines news sources detailing the possibility of a connection between the blue shirts and certain military leaders, including Gen Prawit, Gen Anupong and Gen Prayuth -- who have some things in common. * Nick's photos, posted at New Mandala, further document what he has described. Another eyewitness, of course, was Nirmal Ghosh who filed this report concerning the blue shirts. 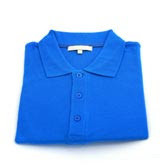 this blog contains really interesting information blue shirts. i would like to bookmark your blog.